MELBOURNE researchers are a step closer to growing transplantable tissue to patch up heart defects after turning human skin cells into “beating heart” tissue that can connect to the circulation system. 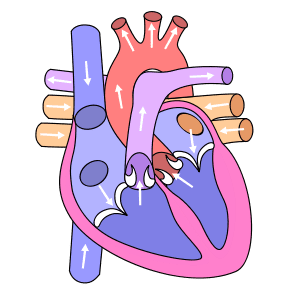 The major breakthrough by the O’Brien Institute in preclinical models could eventually aid heart-attack victims and is also tipped to reduce the number of animals used in testing new drugs. O’Brien’s cardiac regeneration group leader, Dr Shiang Lim, said while laboratories around the world were making heart cells from stem cells, his team had advanced the research by successfully connecting the human heart tissue to the host’s blood circulation. “People have managed to create 3D heart tissue in the laboratory, but the size and thickness is limited by the lack of blood vessels,” Dr Lim said. “We’re letting the body do its natural work. Researchers first genetically reprogrammed human skin cells to become stem cells, which they further changed into heart cells using chemical and electrical stimulation. Using a 3D chamber pioneered by the Melbourne regenerative surgery institute, they implanted these human heart cells into an animal model, connecting it to its blood vessel. The findings, published in the journal, Stem Cells Translational Medicine, showed that four weeks after implantation, the implanted human heart cells had survived, engrafted into the surrounding tissue and were beating. Dr Lim said the first application for their beating heart tissue would be for drug testing to help reduce and complement animal experimentation, reducing the time and cost of getting a medication on to market. “We know a lot of drugs discovered and tested in animals work great, but when it’s translated into humans doesn’t work because of the biological differences,” he said. April 16, 2019 - First 3D heart printed with human tissue could mark key step toward transplantable organs Genetic Literacy ProjectScientists in Israel unveiled a 3D print of a heart with human tissue and vessels on Monday , calling it a first and a “major medical breakthrough” that. April 17, 2019 - Scientists Partly Restore Activity in Dead-Pig Brains The AtlanticThe brain, supposedly, cannot long survive without blood. Within seconds, oxygen supplies deplete, electrical activity fades, and unconsciousness sets in. August 20, 2018 - 57% of Americans say growing human transplant organs in animals is OK Pew Research CenterAbout four-in-ten Americans say using biotechnology to grow human organs in animals for transplants would be going too far. March 21, 2019 - Donor Alliance Named Recipient of the First Katie Coolican-Nicholas Miller Donor Care Award for Excellence in Donor Family Support Associated PressPress release *content* from Business Wire. The AP news staff was not involved in its creation.